Following on from the Bras, here are the suspenders that I made! As I don’t have a mannequin, I can’t really display them at their best. Suspenders really aren’t as difficult as you think they would be!! 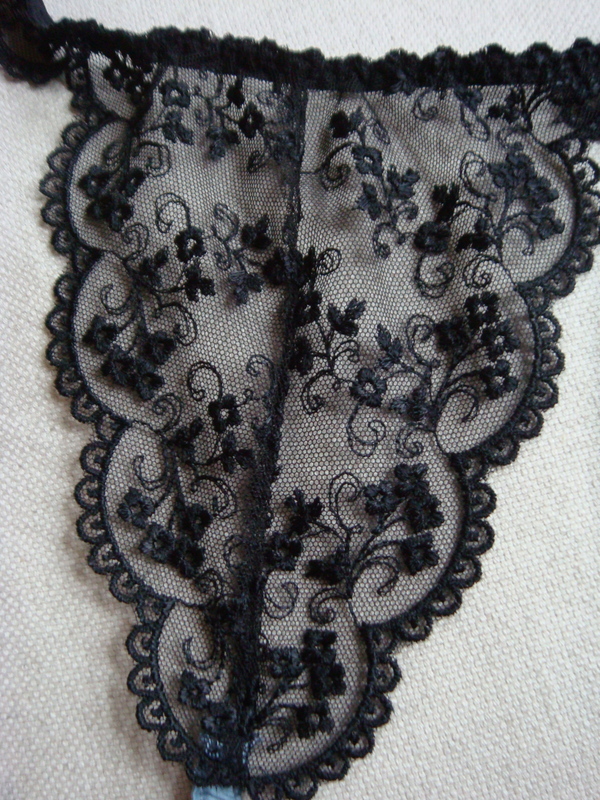 Black Lace from Paris but I’ve seen this lace in many places. It must be pretty common. Blue Sandblasted Silk from Fabrics Galore. Black Silk from eBay a couple of years ago. It’s Japanese kimono silk that has a small ripple pattern in it occasionally. Wouldn’t use it again as it is too thick and too tightly woven to use for suspenders. Black silk satin straps (from my teacher), I used the crepe side of the satin to match the matt of the main fabric. 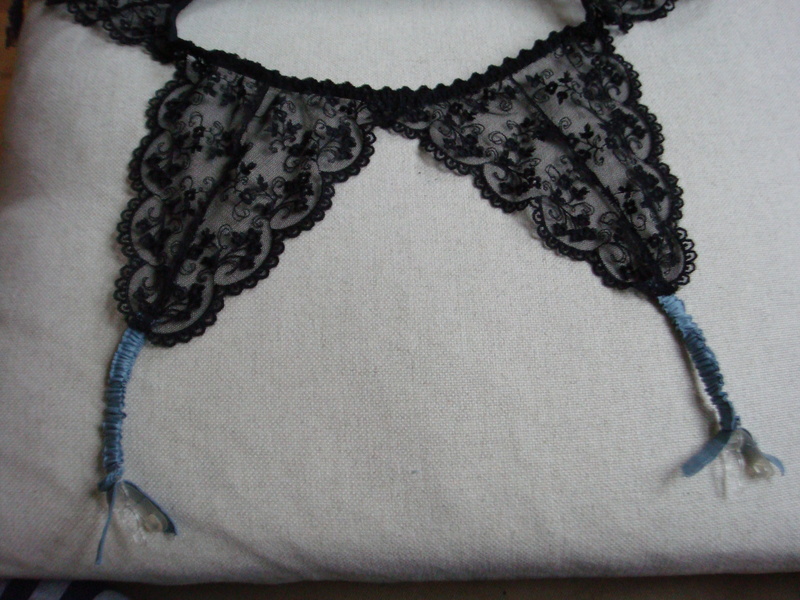 A close up of the front, I’m using the same French lace here too.